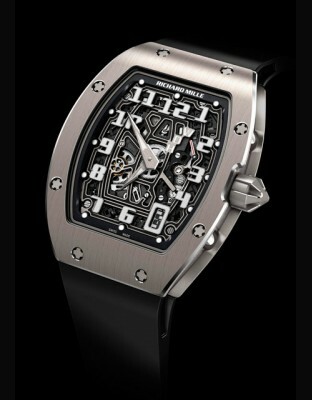 Price request for RM 67-01 Automatic Extra FlatRef. 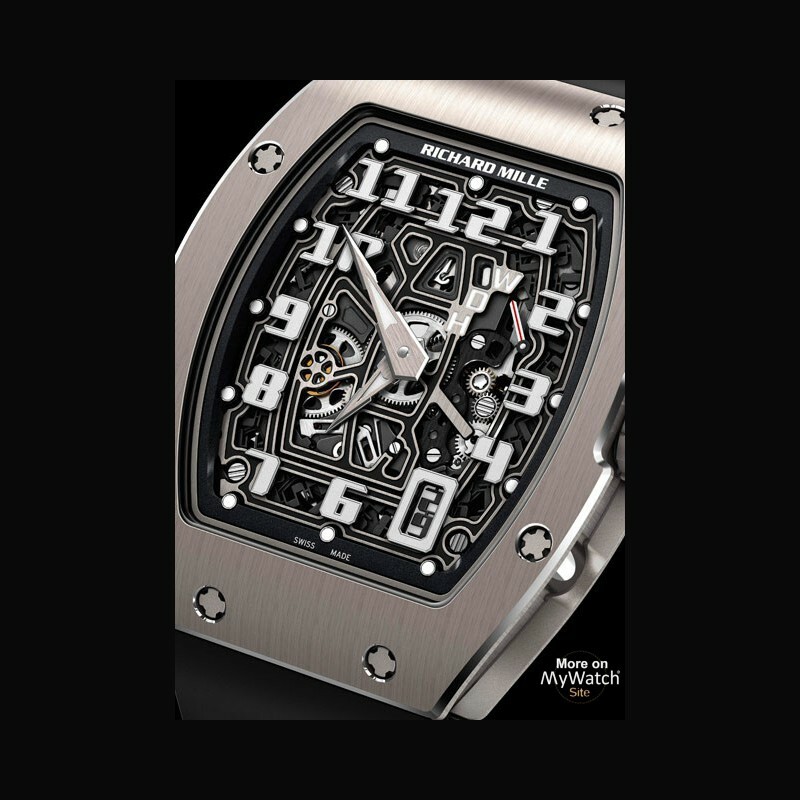 The Richard Mille collection distinguishes itself by having created not one, but several models within a short timespan that have become recognized by collectors and insiders alike as ultimate icons of contemporary watchmaking. And one of the most popular icons must certainly be the RM 010 Automatic, whose pure lines and functions have always found resonance with clients everywhere. 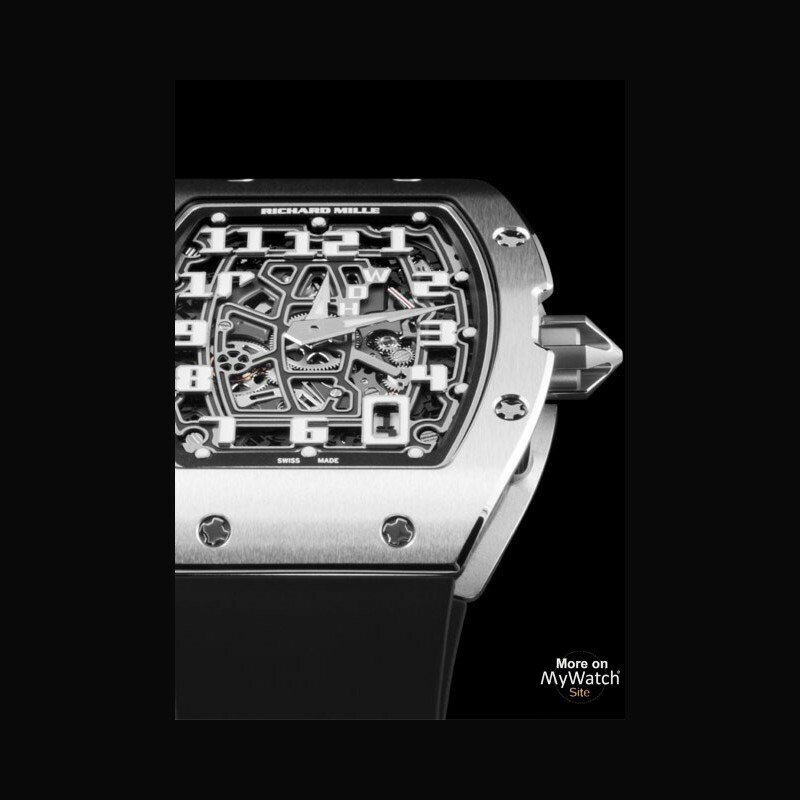 Never one to sit still, Richard Mille felt that the moment has arrived to present a new iteration destined to become another icon of the future: the RM 67-01 Automatic Extra Flat. 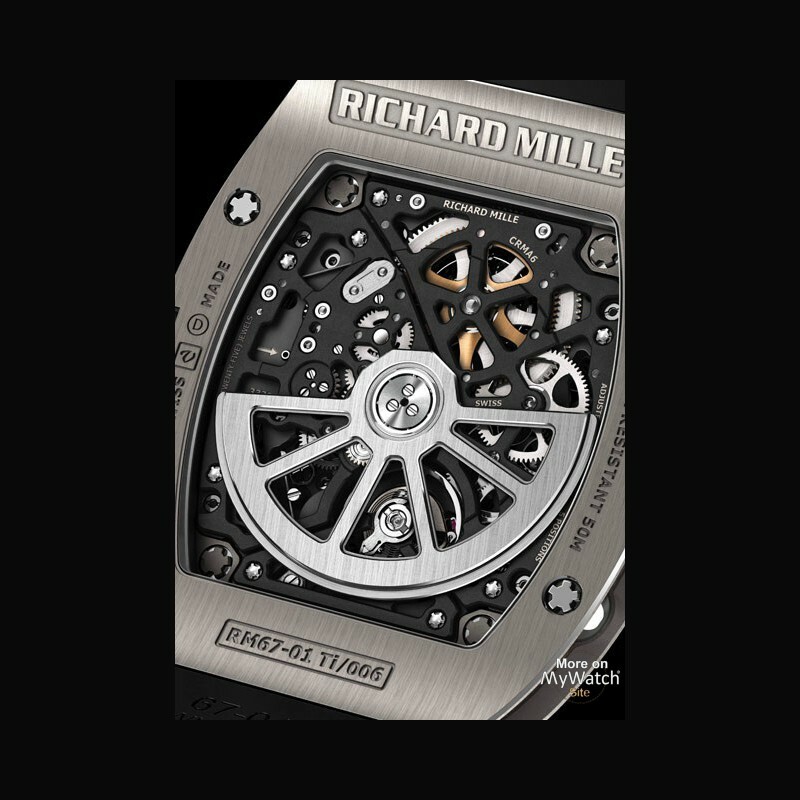 The mechanical aspect of creating a thin automatic has its own set of particular difﬁculties, but one of the dual challenges is to combine this type of movement design with the creation of a sense of visual depth within the movement - a central tenet to Richard Mille’s approach. The extreme use of skeletonisation in the RM 67-01 carries many clues in this respect, however a new approach to the dial construction carries the eyes from the edges of the bezel in three layers to the central area’s hour and minute hands. 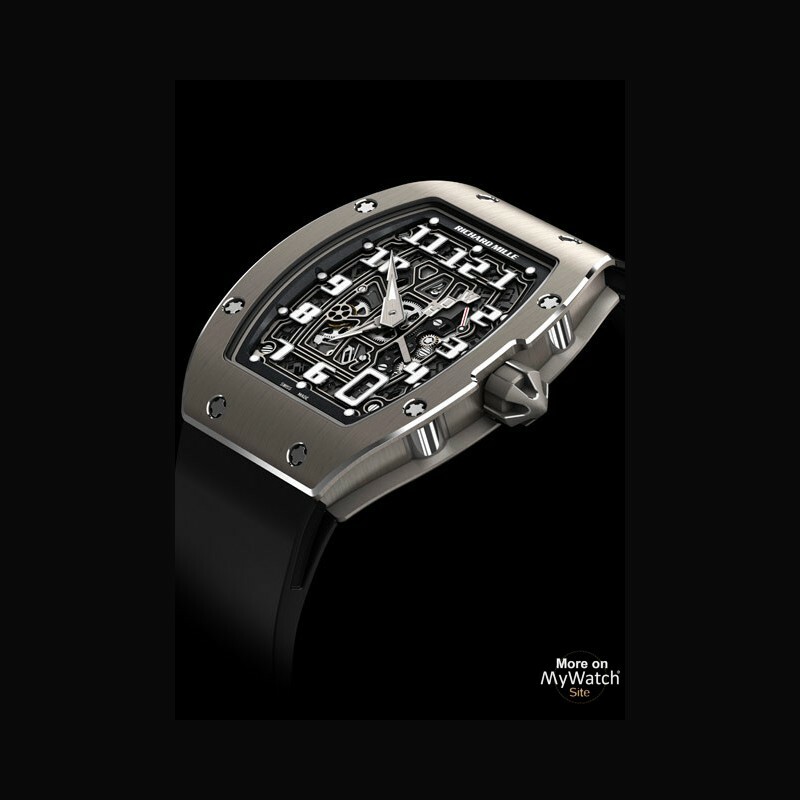 The numerals in this new model have been created from solid metal and mounted on two linked and rigid titanium rails attached directly to the movement. To increase the sensation of depth, each numeral has been sculptured out of solid metal and ﬁlled with Luminova® in order to provide easy night-time viewing, a ﬁrst for the brand in this category of watches. The vertical date window, now moved to the right side of the dial at 5 o’clock, is also enclosed in a window broadly outlined with Luminova®. The automatic movement CRMA6 created for the RM 67-01 is a new calibre of only 3.6mm thickness, designed in house by the engineers in Les Breuleux. 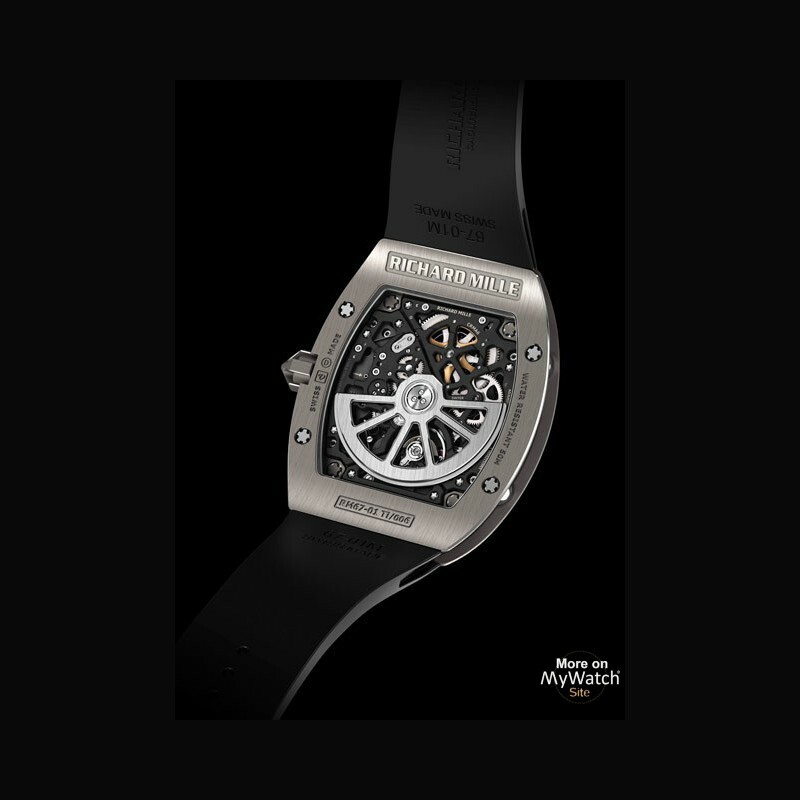 The baseplate and bridges have been created from grade 5 titanium and ﬁnished with a combination of gray and black electroplasma treatment, with a winding rotor weight in platinum. The back of the movement continues the extra attention to creating a sense of depth with extensive skeletonisation visible everywhere, including the large open worked winding barrel, rotor, going train and automatic winding mechanism bridges. The modern architecture of the movement bares itself in a mechanical story; even the 3 slotted screws on the dial side signal to the watchmaker that they turn in opposite directions to the standard direction and the extensive use of custom made torque screws seen throughout the movement ensure exact and codiﬁed application of their correct tensioning according to function and use. At the heart of the movement’s structural design is the use of involute proﬁles for the entire going train, instead of the standard cycloidal shaped teeth as normally used in watchmaking. Such proﬁles can be found in transmissions of cars and many highly efﬁcient motors of all kinds; however their use in the ﬁeld of watchmaking is rare and exceptional. Such teeth proﬁles allow for a more efﬁcient transfer of energy through the going train, thus providing superior chronometric results. Between 1 and 2 o’clock, the function indicator for Winding, Date and Hand setting can be seen. Although this new timepiece is an automatic winding timepiece, it will require a little bit of winding when used for the ﬁrst time or after having not been worn for a few days. The indicator moves as the crown is pulled out, thus taking the guesswork out of choosing a function only by touch or the number of ‘clicks’ as one moves the crown in and out. 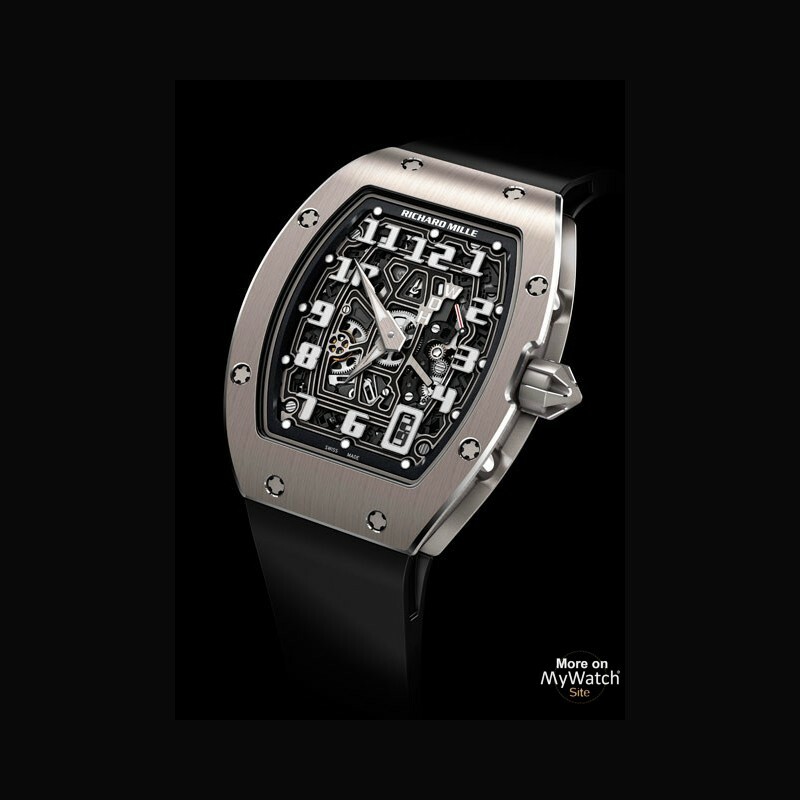 The case of this new icon in the collection represents the ﬁrst time that the inimical tonneau shape has been created in an extra ﬂat form, making it the most sleek model of the tonneau shaped Richard Mille timepieces. Its reﬁned dimensions require more time to create than other similar cases in the collection, adding up to almost 6 hours of pure machining time, not counting weeks of preliminary preparation such as the 68 different stamping operations required for the bezel, caseband and back bezel. The machine tooling process requires 8 days of adjusting the machines for the bezel, 5 days for the caseband and 5 days for the back bezel. Prior to this process, developing a methodology for carrying out this series of operations took 145 hours, the drawings for the tools 130 hours, and implementation 180 hours. Each case represents more than 215 separate machining operations. After completion of this machining phase, the watch case will undergo brushing and polishing, all executed by hand, then assembly with sapphire glass and sealants to undergo a preliminary water resistance testing, before being disassembled and undergoing a ﬁnal quality control. Only then will the movement be mounted within its subtle lines. 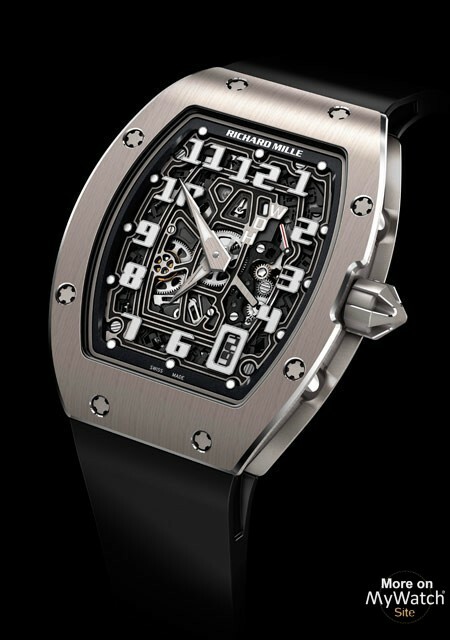 All of these operation represent a total of another 8 hours of work, making the Richard Mille tonneau case one of the most time consuming and complex cases created in Switzerland today.